Support the Food Bank this Easter! 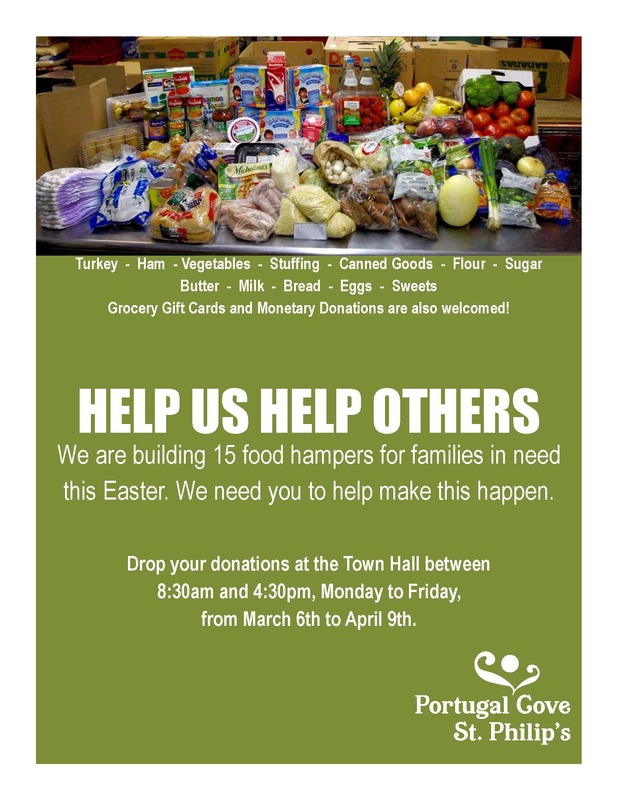 The regional food bank that services our community is in need for the Easter Season. Let’s try to help our own buy creating as many hampers as we can, this will be a huge benefit to the food bank. We are looking to build 15 food hampers! See the poster for details.